Two great players. One fantastic show. 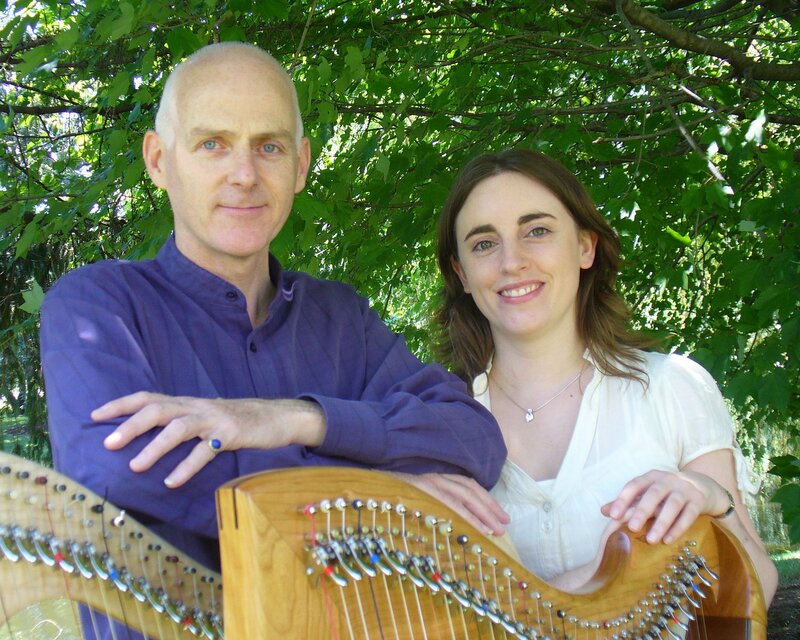 Quite simply, Gráinne Hambly and William Jackson are two of the foremost harpers of Ireland and Scotland. 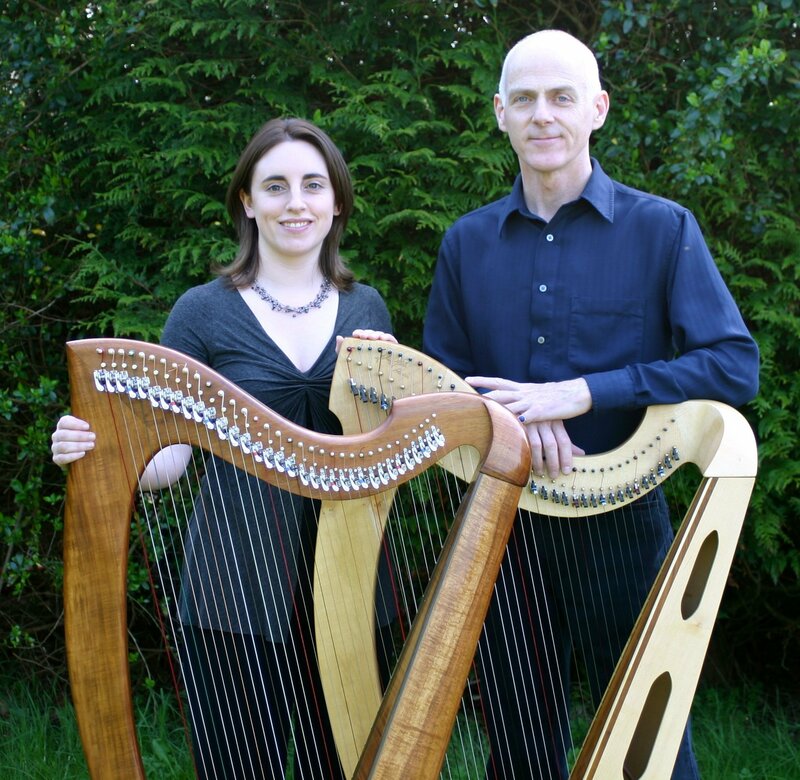 Combining their extraordinary talents on harp as well as concertina, tinwhistle and bouzouki, The Masters of the Celtic Harp, have been performing all over the country and dazzling audiences with their artistry. Their Two Sides of Celtic show is a special treat. 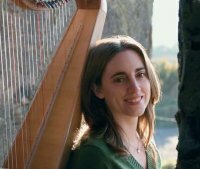 Since 1998 Gráinne Hambly has been touring extensively throughout the United States and has not only garnered an ever-growing following of devoted harp enthusiasts but has managed to cross over and capture the Irish music fan with the taste for the fast, driving reels and jigs of traditional music. She has broken the genteel parlor image and elevated the stature of the harp right up there with the fiddles and pipes in the realm of dynamic dance music. Add to that the unsurpassed expressive quality the harp has in her hands in the rendition of age-old airs and laments and you have the masterful performance of an experienced and renowned player. A lifelong County Mayo resident, Gráinne has not rested on the laurels of winning the senior All-Ireland titles on harp and concertina in 1994 and then the prestigious Keadue and Granard harp competitions. Her three critically acclaimed solo CDs, The Thorn Tree (2006), Between the Showers (1999) and Golden Lights Green Shadows, (2003) are "must haves" for every Irish harp player and fan. She has also recorded with numerous other artists. She has also published two books of her arrangements. 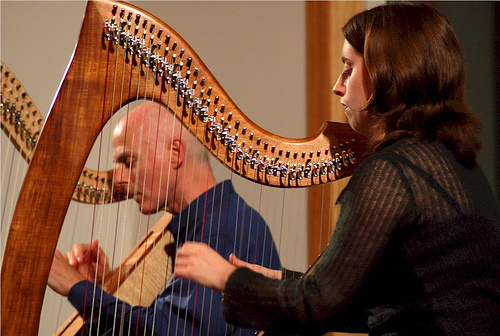 She tours most of the year and has appeared at most of the major harp and Irish music festivals in the U.S. and Europe. 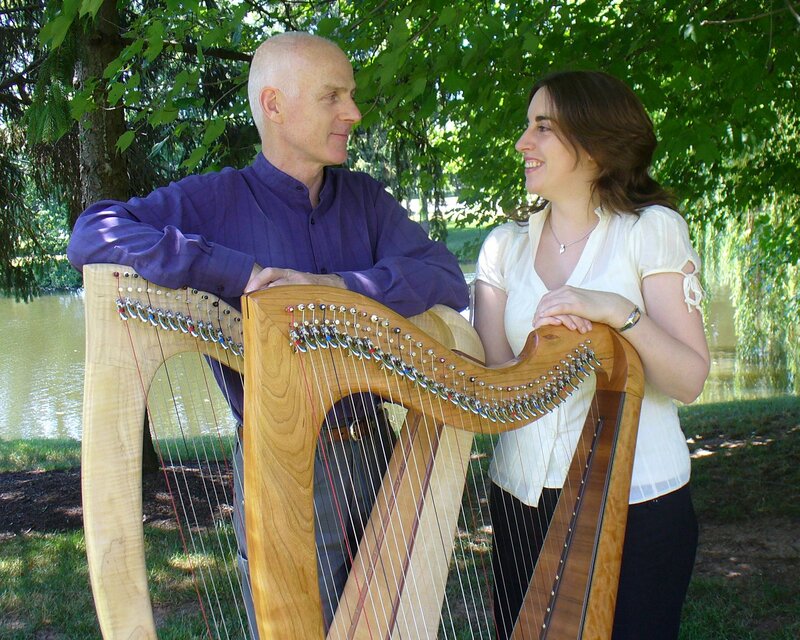 She and William Jackson teamed up and began touring as "The Masters of the Celtic Harp" in 2005 and have been traveling together ever since. They live now outside of Claremorris in County Mayo. "Gráinne plays meticulously, but never at the expense of feeling. " William Jackson of Glasgow has been at the forefront of Scottish traditional music for more than 40 years. Besides his stature as one of the leading harpers and multi-instrumentalists in Scotland, William has gained an international reputation as a composer. His "Land of Light" won the international competition in 1999 as the new song for Scotland. William was a founding member and creative tour de force of Ossian in 1976, which became one of Scotland's best-loved traditional bands. The band, whose music influenced a generation of musicians, extensively toured the U.S. and Europe. Besides harp, he also plays tinwhistle and bouzouki. William Jackson and his band Ossian were inducted into Scottish Traditional Music Hall of Fame Sept. 11, 2015 in Inverness Scotland. The Somerset Folk Harp Festival awarded William its Lifetime Achievement Award in July 2016. The Swannanoa Gathering awarded William its Master Music Maker award for Lifetime Achievement in 2004. While working with Ossian, he also established himself as a composer and he has steadily knit together Celtic influences with classical instrumentation in a style uniquely his own. He has an impressive list of commissioned works and subsequent recordings, including "The Wellpark Suite," "St. Mungo", and "Inchcolm", a 1996 commission from the Scottish Chamber Orchestra called "A Scottish Island" and his latest commission, "Duan Albanach", created for the 2002 opening of the Celtic Connections Festival in Glasgow. In November 2007, he performed with the Asheville Symphony in a debut of his "Scottish Fantasia". His latest CD release is "The New Harp", featuring his own compositions as well as traditional pieces. He has composed music in Scotland for the BBC and Scottish television and recently directed and performed the music for "The Battle of the Clans" for the History Channel. 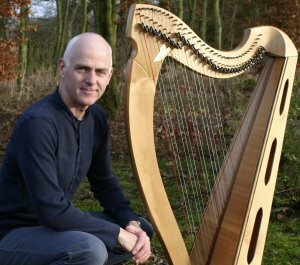 William's performance on harp, whistle and bodhran is featured on the soundtrack of A Shot at Glory, starring Robert Duval and Michael Keaton, which was filmed in Scotland.
" . . . he has total command of the Scottish traditional idiom. "